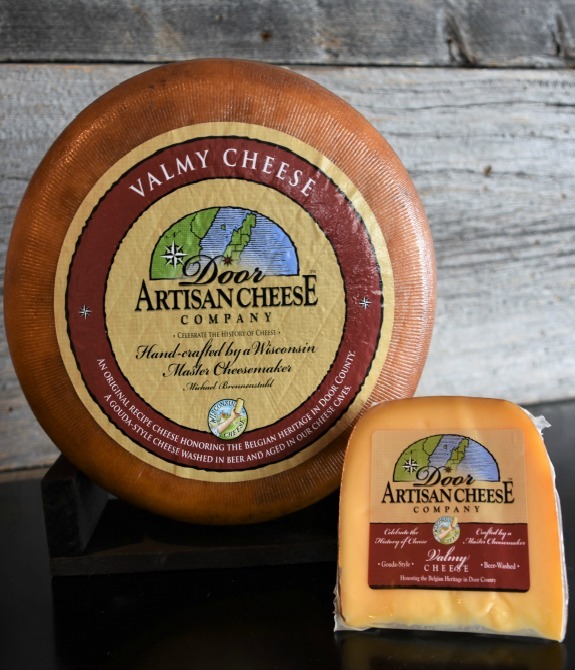 Our Master Cheesemaker's original recipe honoring the Belgian heritage in Door County, WI. Valmy is a beer washed rind cheese, with hints of the yeasts and malts emerging from the Trappist style beer. Serve on a cheese board with cured meats, dried Door County cherries and candied nuts. Click the button below to add the Valmy Wheel to your wish list.